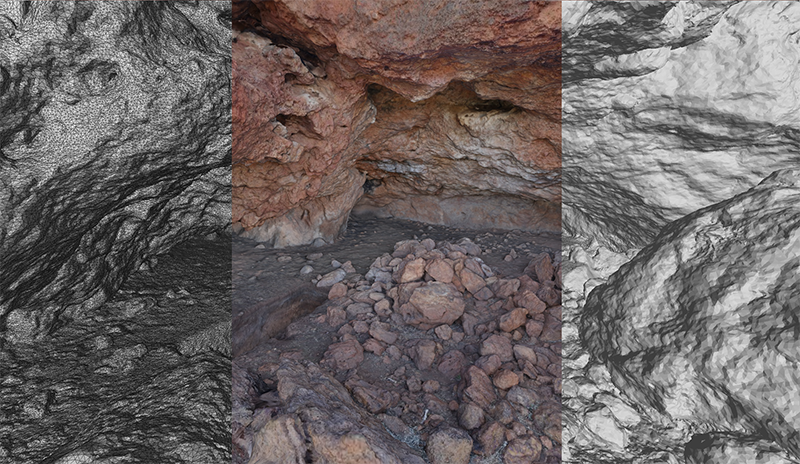 Presented here are digital assets captured from a rock shelter site located in the Weld Range, Western Australia. The shelter being called either WeldRSAQ-10218 (research title) or Yallabilli Mindi. 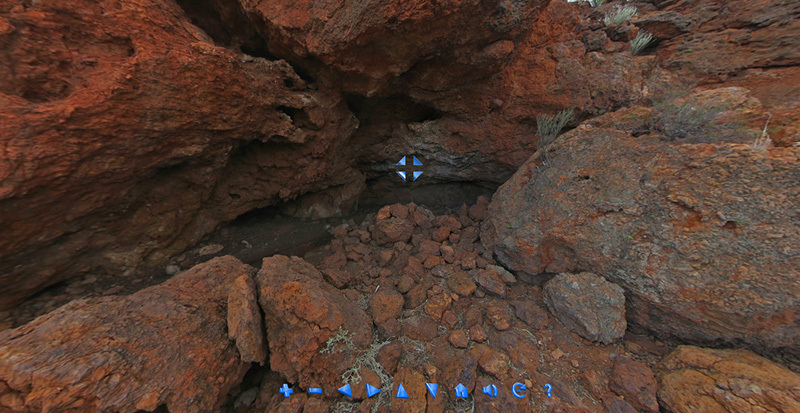 While this is an informal image/movie gallery to give the reader a sense of the site and surrounding landscape, it is also an example of the digital assets and recordings that can be captured as part of the archaeology of significant indigenous sites. 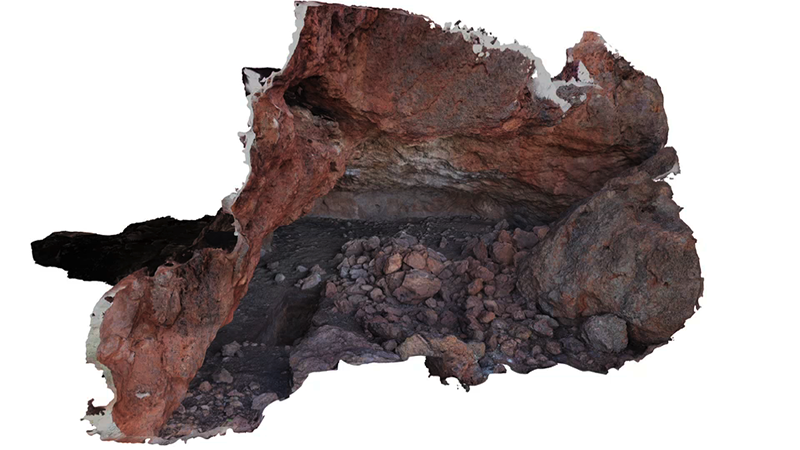 Gigapixel panorama captured from a point directly above the cave. 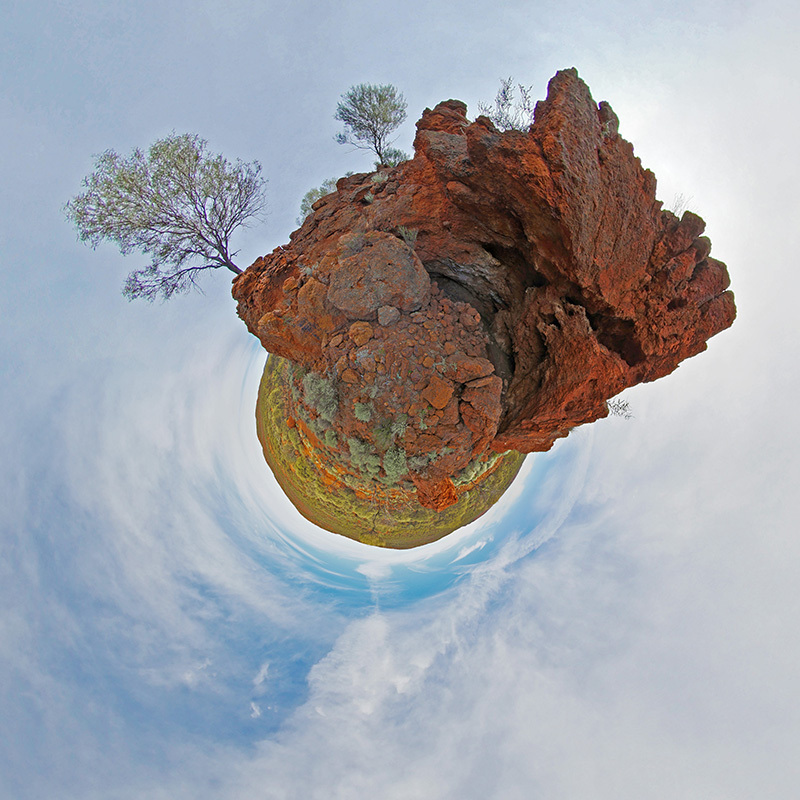 Due to the remoteness and terrain this is taken "hand held", comprising of 20 photographs using a 22MPixel SLR camera. 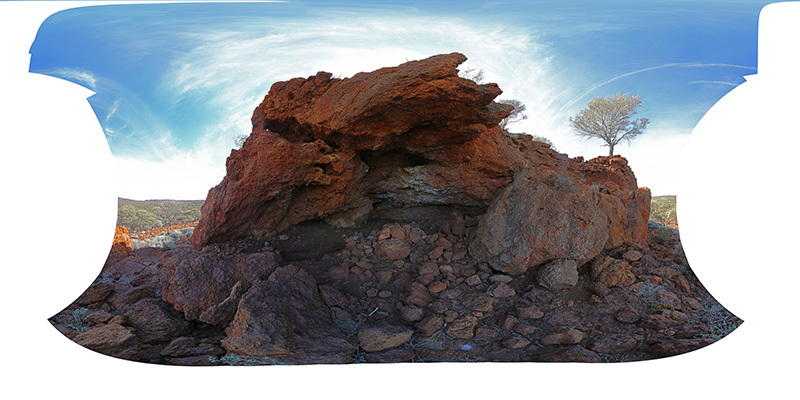 Partial gigapixel panorama from the cave mouth. Made up from 80 photographs and motorised head. Three node "tour" of the cave. Each node (bubble) is created by taking 3 or 4 photographs with a fisheye lens. They capture everything visible from the position at which they are taken. 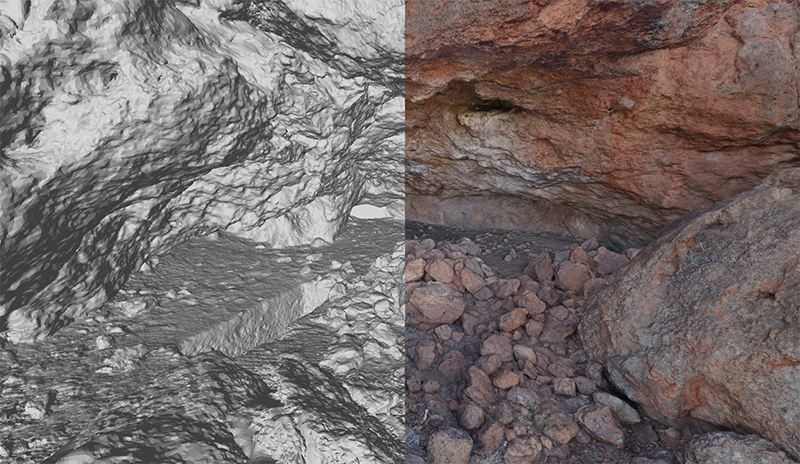 Animated camera path (click for QuickTime movie, half original HD resolution) based upon the 3D reconstructed model. The reconstruction is entirely automated and in this case based upon 175 photographs. The underlying model serves as the main asset for an interactive virtual experience. Composite images illustrating the computer generated nature of the reconstructions. Greyscale and wireframe sections reveal the geometric resolution, noting this particular example has triangles about a factor of 2 larger than what is achievable. Little planet view from the mouth of the cave. This is generated from the bubble photographs presented above using the technique documented here. *The Weld Range Web of Knowledge Project is funded by the Federal Government via the Indigenous Heritage Program. 3D visualisation was undertaken in collaboration with Ethical Engagement Consultancy and with assistance from Sinosteel Midwest Corporation.